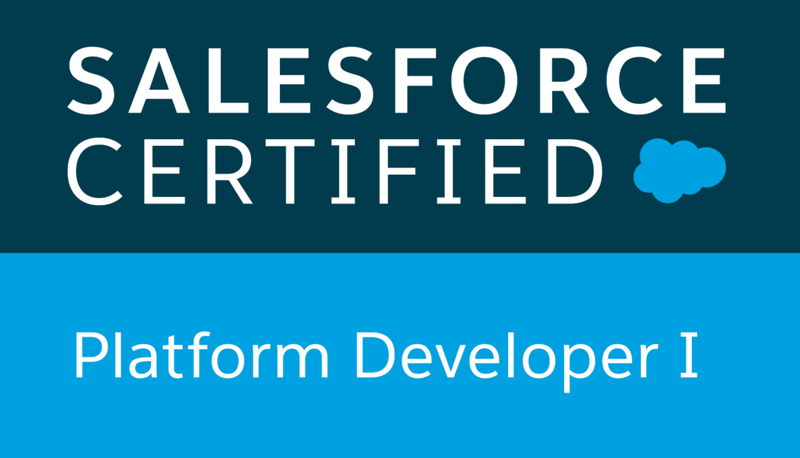 Note: All credit goes to Salesforce, I am just a developer who enjoy playing trailhead and try to make note to myself. Need to load 50000 to 5 Million records. Data export wizard - accessible through the Setup menu. It allows you to export data manually once every six days (for weekly export) or 28 days (for monthly export). You can also export data automatically, at weekly or monthly intervals. Data Loader -this is a client application that you must install separately. It can be operated either through the user interface or the command line. The latter option is useful if you want to automate the export process, or use APIs to integrate with another system. relationship that links one object to another object. master record controls certain behavior of the details or subdetail record. ownership and sharing is determined by master record. when master record is deleted,the detail also will be deleted along with it. master detail relationship always required on detail record. master object can also contain rollup summary field. to link two objects together when you don't want the behavior of the master-detail relationships such as sharing rules,profile permission and cascade delete. if the details object has its own tab, then look up is the choice. Salesforce Object Search Language (SOSL) is a Salesforce search language that is used to perform text searches in records. Use SOSL to search fields across multiple standard and custom object records in Salesforce. SOSL is similar to Apache Lucene. Like SOQL, SOSL allows you to search your organization’s records for specific information. Unlike SOQL, which can only query one standard or custom object at a time, a single SOSL query can search all objects. 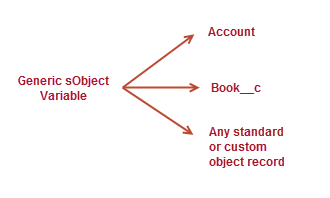 SOQL can only query one standard or custom object at a time, a single SOSL query can search all objects. SOSL matches fields based on a word match while SOQL performs an exact match by default (when not using wildcards).For example, searching for 'Cloudy' in SOSL returns records whose field values are 'Cloudy' or 'Cloudy Day', but SOQL returns only records with field values of 'Cloudy'. SOQL and SOSL are two separate languages with different syntax. Use SOQL to retrieve records for a single object. Use SOSL to search fields across multiple objects. SOSL queries can search most text fields on an object. SearchQuery : is the text to search for (a single word or a phrase). Search terms can be grouped with logical operators (AND, OR) and parentheses. Can include wildcard characters (*, ?). The * wildcard matches zero or more characters at the middle or end of the search term. The ? wildcard matches only one character at the middle or end of the search term.Text searches are case-insensitive. For example, searching for Customer, customer, or CUSTOMER all return the same results. SearchGroup(optional): It is the scope of the fields to search. If not specified, the default search scope is all fields. SearchGroup can take one of the following values. ObjectsAndFields (optional):It is the information to return in the search result—a list of one or more sObjects and, within each sObject, list of one or more fields, with optional values to filter against. If not specified, the search results contain the IDs of all objects found. Single Word— single word, such as test or hello. Words in the SearchQuery are delimited by spaces, punctuation, and changes from letters to digits (and vice-versa). Words are always case insensitive. Phrase— collection of words and spaces surrounded by double quotes such as "john smith". Multiple words can be combined together with logic and grouping operators to form a more complex query. The record couldn’t be saved because it failed to trigger a flow. A flow trigger failed to execute the flow with version ID 3xxxxxxxxxxxxxx. Contact your administrator for help. When user uploads the Contact data without Account data it will throw an exception and I receive an email contains information below which is not so helpful. An error occurred at element myDecision (FlowDecision). The flow failed to access the value for myVariable_current.Account.Country__c because it hasn't been set or assigned. Note I put AccountId condition before checking the Account Country__c.I run another test and wallahhh...the exception is gone.Contact is successfully inserted with Account details.I haven't see (yet) any documentation regarding on condition sequence in Process builder but it makes sense that we need to check the AccountId first before we check Account Country. Hopefully this is helpful.Please let me know what your think. With a SOQL for loop, you can include a SOQL query within a for loop. The results of a SOQL query can be iterated over within the loop. SOQL for loops use a different method for retrieving records—records are retrieved using efficient chunking with calls to the query and queryMore methods of the SOAP API. By using SOQL for loops, you can avoid hitting the heap size limit. It is preferable to use the sObject list format of the SOQL for loop as the loop executes once for each batch of 200 sObjects. Doing so enables you to work on batches of records and perform DML operations in batch, which helps avoid reaching governor limits. upsert-creates new records and updates sObject records within a single statement, using a specified field to determine the presence of existing objects, or the ID field if no field is specified. merge-merges up to three records of the same sObject type into one of the records, deleting the others, and re-parenting any related records. Each DML statement accepts either a single sObject or a list (or array) of sObjects. Operating on a list of sObjects is a more efficient way for processing records. Apex contains the built-in Database class, which provides methods that perform DML operations and mirror the DML statement counterparts.These Database methods are static and are called on the class name. Why it different with DML statement? Database methods have an optional allOrNone parameter that allows to specify whether the operation should partially succeed. When this parameter is set to false, if errors occur on a partial set of records, the successful records will be committed and errors will be returned for the failed records. Also, no exceptions are thrown with the partial success option. Database class contains methods that aren’t provided as DML statements. For example, methods used for transaction control and rollback, for emptying the Recycle Bin, and methods related to SOQL queries. Should You Use DML Statements or Database Methods? If you want any error that occurs during bulk DML processing to be thrown as an Apex exception that immediately interrupts control flow (by using try. . .catch blocks). This behavior is similar to the way exceptions are handled in most database procedural languages. If you want to allow partial success of a bulk DML operation—if a record fails, the remainder of the DML operation can still succeed. Your application can then inspect the rejected records and possibly retry the operation. When using this form, you can write code that never throws DML exception errors. Instead, your code can use the appropriate results array to judge success or failure. Note that Database methods also include a syntax that supports thrown exceptions, similar to DML statements. DML operations execute within a transaction. All DML operations in a transaction either complete successfully, or if an error occurs in one operation, the entire transaction is rolled back and no data is committed to the database. The boundary of a transaction can be a trigger, a class method, an anonymous block of code, an Apex page, or a custom Web service method. For example, if a trigger or class creates two accounts and updates one contact, and the contact update fails because of a validation rule failure, the entire transaction rolls back and none of the accounts are persisted in Salesforce. Every record in Salesforce is natively represented as an sObject in Apex. For example, the Acme account record corresponds to an Account sObject in Apex. The fields of the Acme record that we can view and modify in the user interface can be read and modified directly on the sObject as well.Each Salesforce record is represented as an sObject before it is inserted into Salesforce. Likewise, when persisted records are retrieved from Salesforce, they’re stored in an sObject variable. Some rules used for API names for custom objects and custom fields. A custom object with a label of Merchandise has an API name of Merchandise__c. A custom field with a label of Description has an API name of Description__c. A custom relationship field with a label of Items has an API name of Items__r. If we don’t know the type of sObject that our method is handling, we can use the generic sObject data type.We also can can cast Sobject to specific sObject type.Specify sObject type will allow us to use dot notation. But variables that are declared with the specific sObject data type can reference only the Salesforce records of the same type. Generic sObjects can be created only through the newSObject() method. Also, the fields of a generic sObject can be accessed only through the put() and get() methods. We can use dot notation in specific sObject type. Apex Basic and Database : What is Apex ? programming language that uses Java-like syntax and acts like database stored procedures. Apex enables developers to add business logic to system events, such as button clicks, updates of related records, and Visualforce pages. Hosted—Apex is saved, compiled, and executed on the server—the Force.com platform. 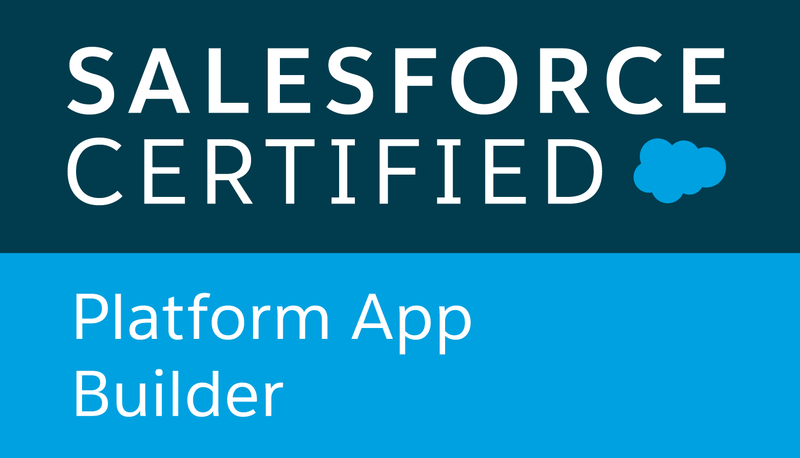 Automatically upgradeable—Because compiled code is stored as metadata in the platform, Apex is automatically upgraded as part of Salesforce releases. Object oriented—Apex supports classes, interfaces, and inheritance. Strongly typed—Apex validates references to objects at compile time. Multitenant aware—Governer limit.Because Apex runs in a multitenant platform, it guards closely against runaway code by enforcing limits, which prevent code from monopolizing shared resources. Integrated with the database—It is straightforward to access and manipulate records. Apex provides direct access to records and their fields, and provides statements and query languages to manipulate those records. Data focused—Apex provides transactional access to the database, allowing you to roll back operations. Easy to use—Apex is based on familiar Java idioms. Easy to test—Apex provides built-in support for unit test creation, execution, and code coverage. Salesforce ensures that all custom Apex code works as expected by executing all unit tests prior to any platform upgrades. Versioned—Custom Apex code can be saved against different versions of the API. Classes, interfaces, properties, and collections (including arrays). Conditional statements (if-then-else) and control flow statements (for loops and while loops). Cloud development as Apex is stored, compiled, and executed in the cloud. Triggers, which are similar to triggers in database systems. Database statements that allow you to make direct database calls and query languages to query and search data. The global access modifier, which is more permissive than the public modifier and allows access across namespaces and applications. Apex is a case-insensitive language. great to serve basic functionality. When the user interacts with the page, return to step one. Which one I should use?Lightning Experience or Salesforce Classic? Your sales team does business-to-business sales using accounts, contacts, leads, opportunities, custom objects, and the other sales features supported in the new user interface. You want to pilot the new user interface with a group of sales reps.
You’re looking to reboot your Salesforce implementation. This is a great opportunity to introduce new features because you’re doing change management anyway. Your sales team makes regular use of features that aren’t yet available in Lightning Experience, such as quotes, forecasting, or territory management. You primarily use customer service tools or other non-sales features. You want a single experience for your sales and service teams. Custom Java script button.It can be replaced by point and click tools, Process builder, Visual Workflow and code driven approaches. Some of Appexchange.Check out on the Lightning Ready certificate to ensure the apps is working on Lightning Experience. Custom tab because tab is replaced by collapsible navigation menu at the left side. Visualforce and apex.It works but it requires revision. Refer Lightning experience consideration . By default, the “Lightning Experience User” permission is automatically enabled for all users with a standard Salesforce profile. If we have Standard User that should not get access to Lightning Experience move it to Custom Profile. If we have Custom Profile user that should access to Lightning Experience, create Permission Set that includes 'Lightning Experience User'. All above not applicable for Group Edition because Custom Profiles are not available .We can’t remove the “Lightning Experience User” permission from org’s standard profiles, and custom profiles aren’t available. So it’s “all or nothing” if we want to turn on Lightning Experience in Group Edition—all our users will be enabled to use the new interface. But we can control who is immediately switched into the new interface and who remains in the classic interface until they’re ready to switch themselves.